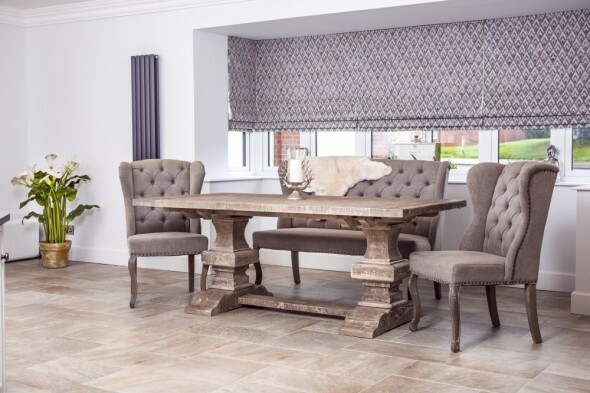 An outstanding new addition to our extensive range of tables, this oak extending table features two large pull-out leaves that enable the table to comfortably seat up to twelve people. 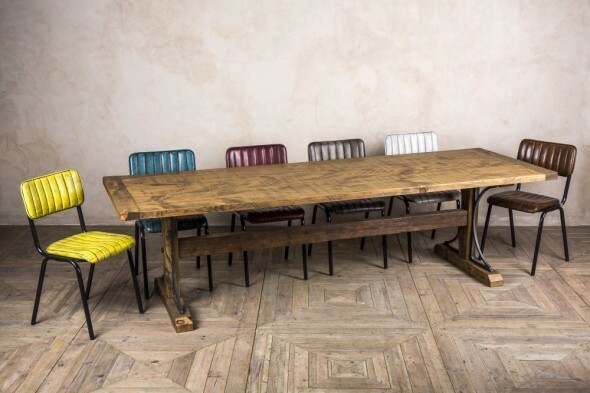 It conveniently closes down to 2x1m. 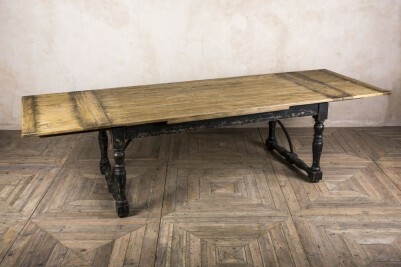 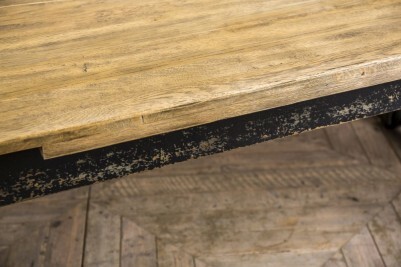 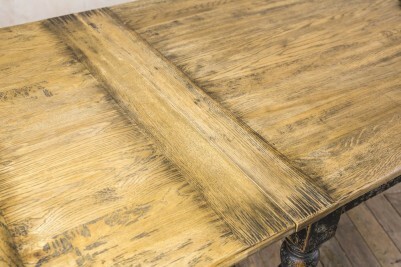 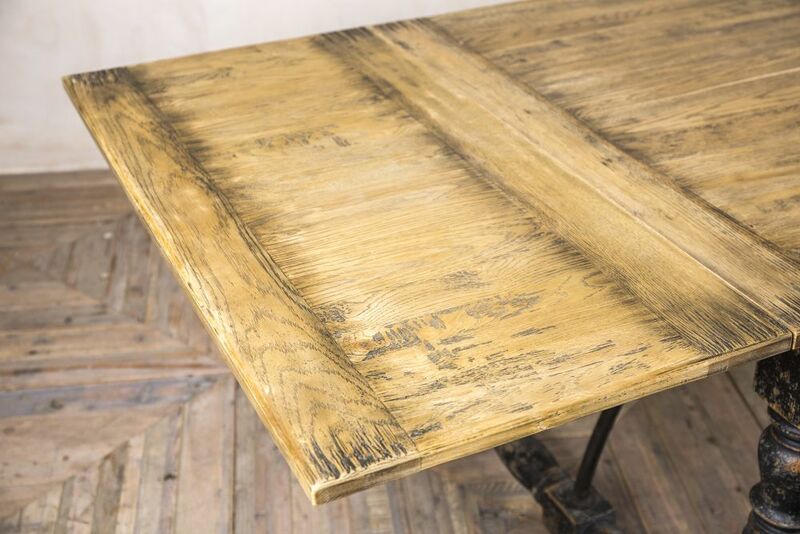 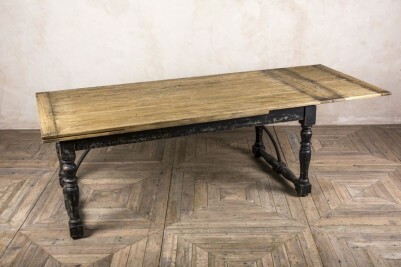 The table features a solid oak top with a lightly distressed finish to give it a truly authentic and original look. 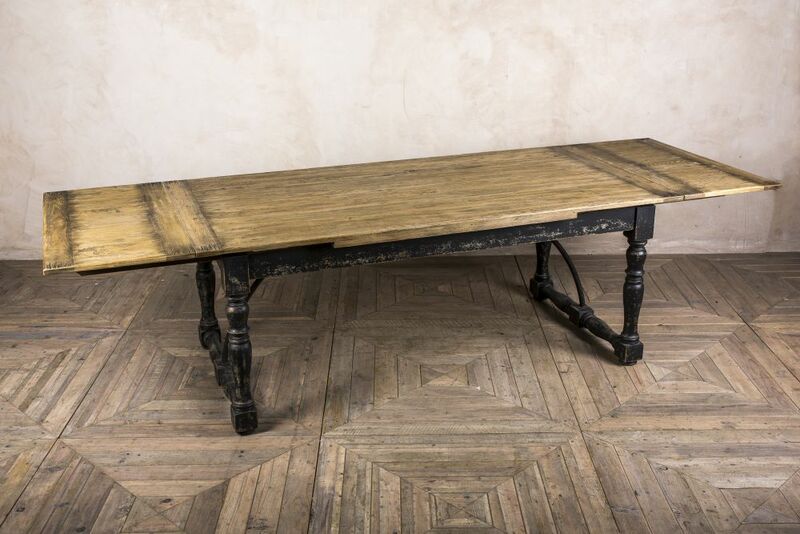 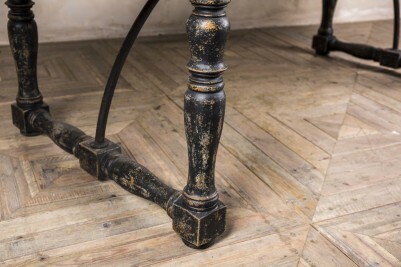 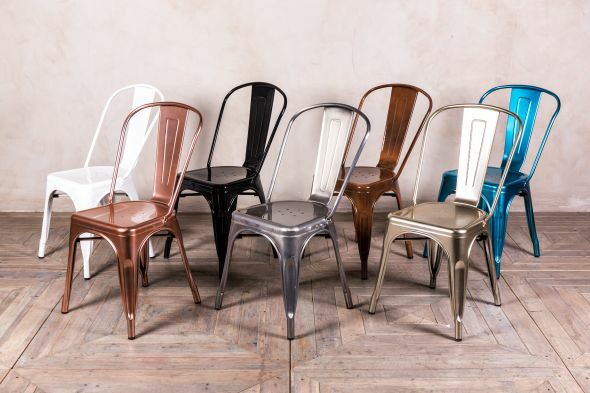 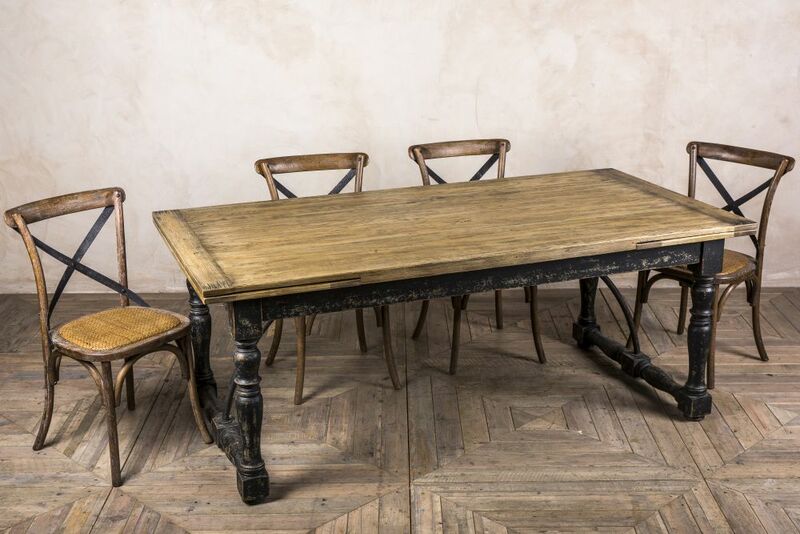 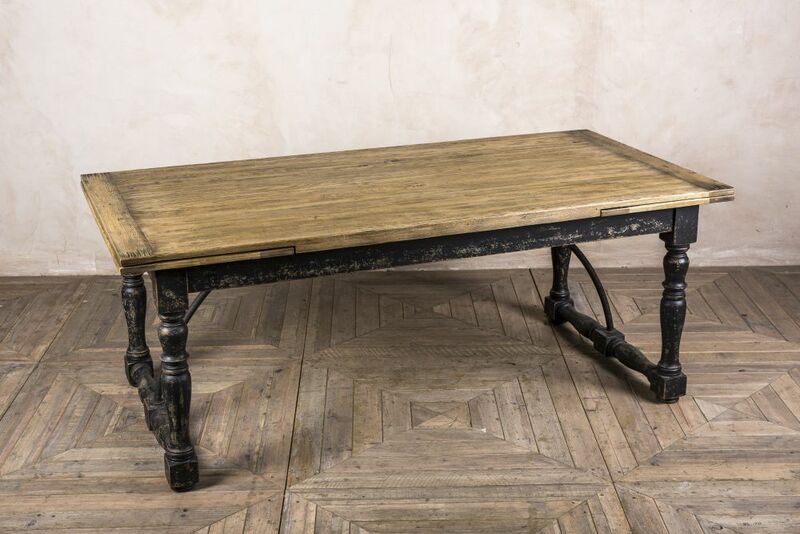 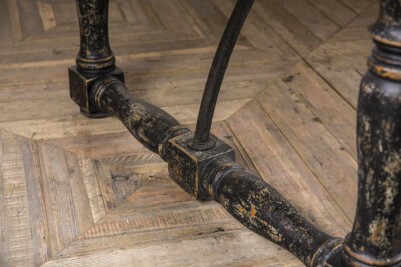 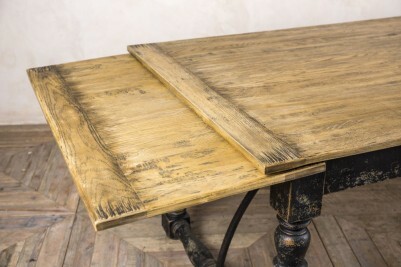 This ‘Madrid’ table has an elegant base with distressed paintwork and features a distressed steel arched decoration. 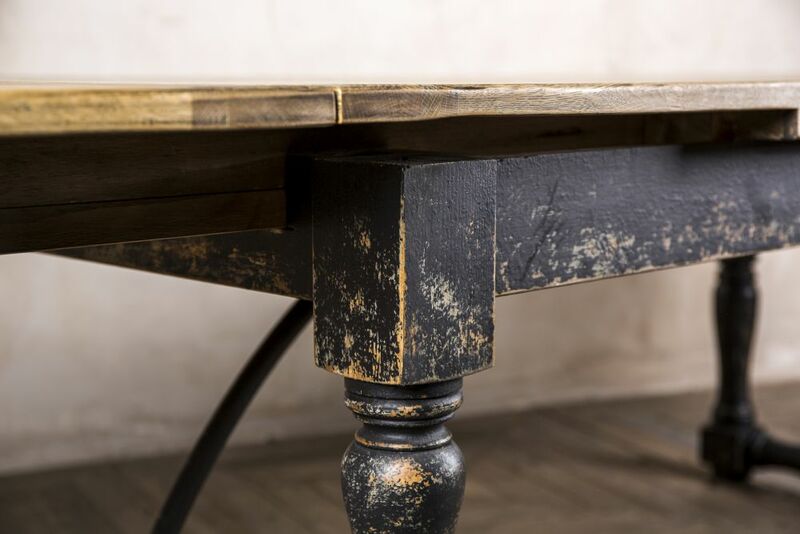 This stunning table comes in a knock-down form for ease of delivery. 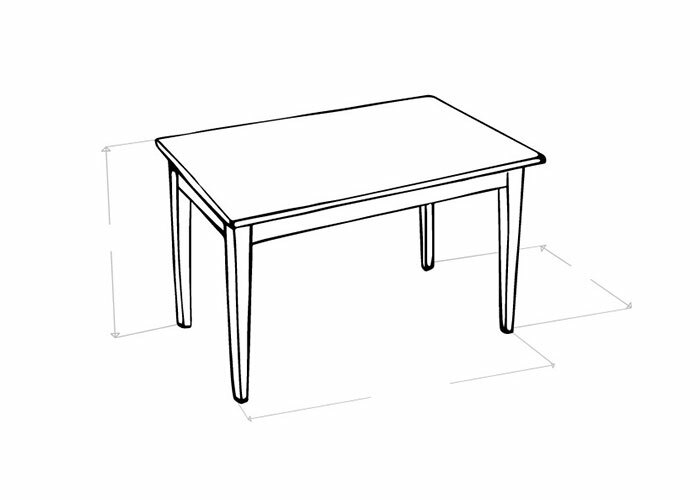 It can easily be assembled by our delivery drivers if required. 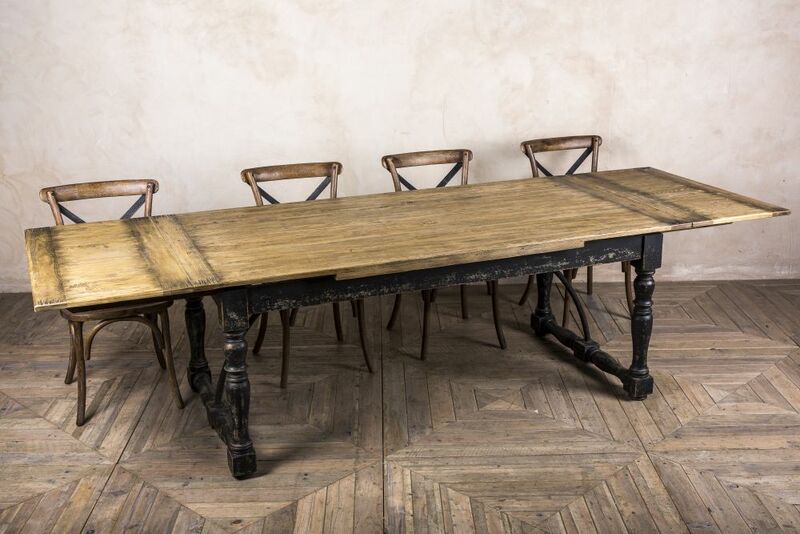 This substantial oak extending table is an outstanding addition to our large range of vintage, industrial and antique style furniture. This listing is for the table only. 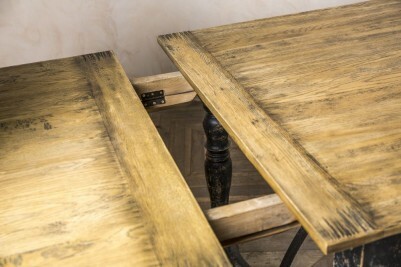 This table is not guaranteed if used with underfloor heating.